G1, the Linux-based Android phone, is now probably the smartest smartphone around. With its open-source operating system, it has plenty of room for improvement. Like Linux, Android is a strong platform on which to build. To those who are planning to get the first Android-powered phone, let me give you a preview of some of the most exciting applications that you will be getting with your Googlephone. cab4me enables you to easily call a cab to any location worldwide. You do not need to know the number of the local cab company. You do not need to enter or even know the address you want to be picked up at. You do not need to place a call. With cab4me you can order a cab to your current location with a single click. Shop smarter using your phone. Compare prices, read reviews, and connect with local stores with CompareEverywhere. Ecorio automatically tracks your mobile carbon footprint, suggests transit and carpooling alternatives and lets you stay carbon neutral by offsetting your trips easily. With Softrace, people around the world meet online to compete against each other in different physical activities. Races can take place in real time, just like traditional races. In addition, races may be constructed from already completed races allowing users to select their opponents and race on demand. Location varies, some races run along predefined tracks while others allow you to run anywhere in the world, in any direction. It is like a computer game, except that you are not controlling the player, you are the player. Maverick is a multimedia enabled, Google Talk compatible instant messenger and a Google Blogger publishing tool which runs on the Android Platform. Cooking Capsules streamlines the process of recipe planning and cooking with the "encapsulation" of a mini cooking show, tools for shopping, and a checklist containing each recipe step. Simply "Watch, Shop, and Make" using your phone as your cooking sidekick. You may also wish to "encapsulate" your own recipes into "Caplets" so you'll never forget that magic ingredient or recipe step again. Share your favorite Cooking Capsules with your friends. Cooking is social- have fun! Wertago is the mobile application nightlifers have been waiting for—a single application that shows you up-to-the-second information about what venues are hot, helps you coordinate plans with all your friends, lets you share content and influence the social scene, and enables you to connect with socialites all across the city. Nightlife will never be the same! TuneWiki Social Media Player, is an advanced player, featuring synchronized lyrics for audio or video, translation, music maps and a social network. Android's desktop looks Linuxie. I'm really lovin' the apps. I hope Android will soon power Nokia phones because Symbian is freakin' slow. Seriously, the iPhone is hack all around and the apps are tons better than Android's! I was actually quite hopeful for the Android and got really, really disappointed... The major flaws everyone pointed on the iPhone's hardware/OS are the same here or worst (eg, no MMS, no headphone jack, etc...) and the OS seems waaaaay to "beta" to be a serious competitor to the iPhone! I hope Google get their act together and really start hiring some UI designers and get that thing looking "mildly" good..
Android is WAY better than any Crapple product like the Iturd. Apple is as closed and lame as Microsoft's. Google is going to destroy them in these markets and its a good thing... Can't wait for my Android powered phone! Wow - I didn't know Google had fanboys :P Android really doesn't have anything to do with Linux implicitly. 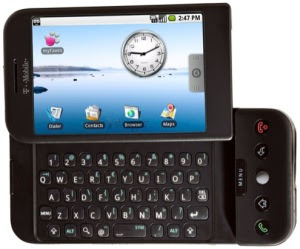 The Dream runs Android atop Linux, but that doesn't mean future phones won't run Android on top of Symbian or WinCE. People seem for forget that the entire Android software stack is written in Java. Java is slow and resource hungry - that's why the Dream has a 500mhz CPU and two 1000mAh batteries. The Dream is pretty short on RAM though - hopefully garbage collection won't be constant and obvious, and battery life isn't horrible. Amazingly beautiful screenshots of android. Your wish is granted: IPhone developers are deserting in their droves for Android. LMAO.